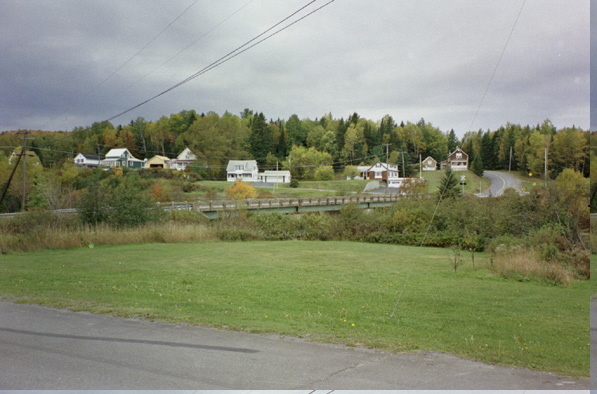 Above: the bridge viewed from Church Street, just north of Soldier Pond Road. 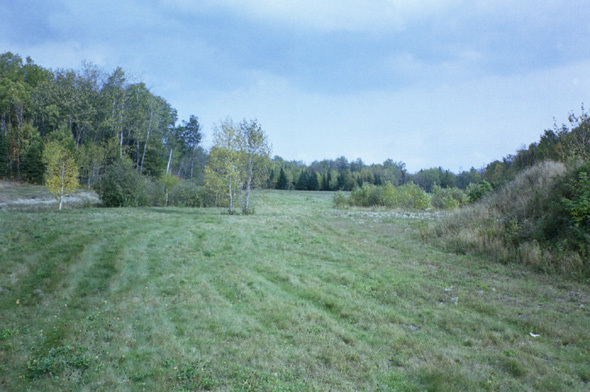 Below: a field to the east of Church Street, north of St. Joseph�s church. 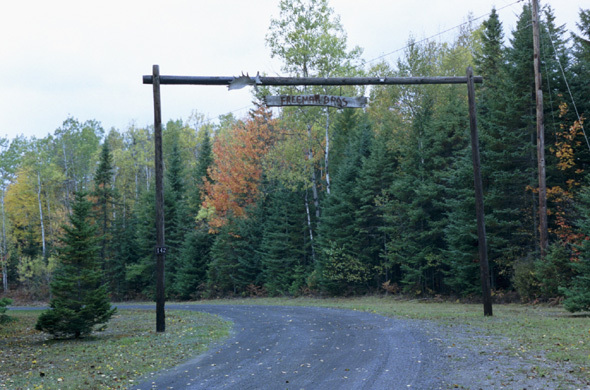 Above: Freeman Brothers camp, on the north end of Church Street. 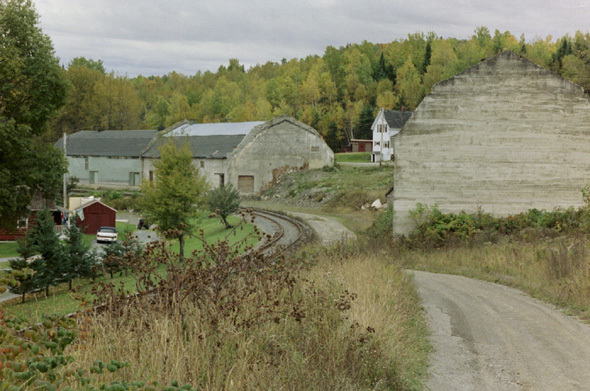 Below: a couple of warehouses along Pond View Road. The one in the foreground appears to be unuses, while the one in the background is used to store grain. 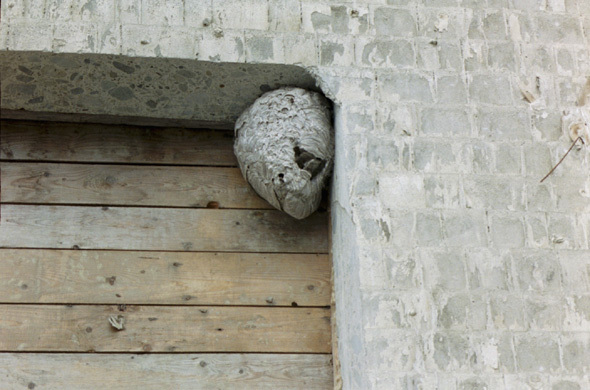 Below, a hornets nest hangs on the door of the unused warehouse. 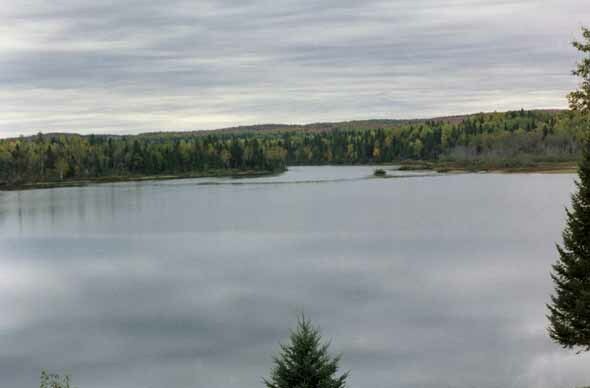 Below is a view of the water from Soldier Pond.